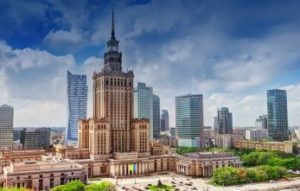 The Polish Conference & Congress Association together with the organizer of the International Tourism Fair TT Warsaw offer you a professional system of meeting appointments. You only have three days to successfully use the event, and we encourage you to set up an account in the business matchmaking application. You will be able to have Your business meetings in the specially prepared B2B zone on the first and second day of the fair. Due to the large number of exhibitors and visitors to the fair, it is difficult to find a particular person to speak with. This system in 4 simple steps will help you to arrange a meeting calendar. Fill out the online matchmaking form and create your business profile. Your online profile will introduce yourself and your company to potential business partners, explain the products and services that you offer, and describe what you are looking for in future cooperation partners or partnerships. Once your company’s profile is complete it will be visible to all participants, the event organizer, will promote it through all available channels. After you receive email notification that the scheduling period has begun you can proceed to the next step – scheduling bilateral matchmaking meetings. In just a few minutes you can enter the search criteria that meet your business needs and identify potential partners. Send meeting requests to potential partners based on your schedule and arrange a mutually convenient meeting based on shared interests. Be prepared to respond to potential partners who are interested in what your company offers.